NEW YORK, June 27, 2017 /PRNewswire/ -- GLG (Gerson Lehrman Group, Inc.), the world's leading membership for professional learning and expertise, today released a new video with neuroscientist and entrepreneur, Vivienne Ming, as part of its Anatomy of a Decision video series. Ming discusses The Tax on Being Different, her work to maximize human potential, and how Big Data can help identify hiring biases based on race, gender, and other factors. 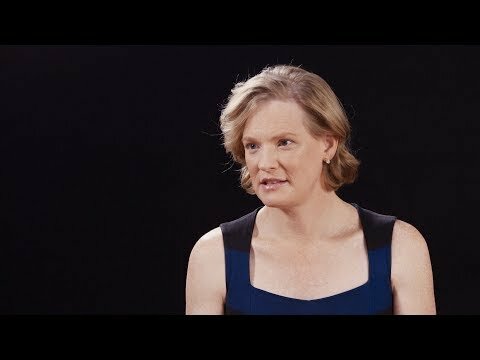 Neuroscientist Vivienne Ming sits down with GLG’s Richard Socarides to discuss Silicon Valley's hiring bias, group dynamics, and her upcoming book "The Tax on Being Different." "'The Tax on Being Different' comes from this very simple idea, which we systematically found across all jobs, that people were being undervalued," says Ming. "Put a male or female name at the top of an identical resume, and suddenly the male gets more job offers." Ming's work as an academic and entrepreneur has focused on harnessing Big Data and machine learning to take bias out of hiring. Ming's research shows that candidates with traditionally impressive credentials, like Ivy League degrees and working experience at big name companies, don't necessarily make for better employees. In this video, Ming also reflects on her personal experience as a transgender woman in a male-dominated field and shares how her differences motivated her research. "At GLG, we're focused on driving the future of professional learning for our clients and members," said Richard Socarides, Head of Public Affairs at GLG. "Ming's work raises timely, important questions about talent, hiring, and how companies can make smarter decisions in order to maximize the potential of their employees." Ming is a theoretical neuroscientist, technologist, and entrepreneur. She has a PhD in psychology and theoretical neuroscience from Carnegie Mellon University. She is also the Co-Founder and Managing Partner of Socos, a cutting-edge startup that applies cognitive modeling to create adaptive, personalized educational technology. Previously, Ming was Chief Scientist at Gild, an innovative startup that builds better companies by unleashing human potential in their workforce using machine learning. She is a visiting scholar at U.C. Berkeley's Redwood Center for Theoretical Neuroscience pursuing her research in cognitive prosthetics. She sits on the boards of StartOut and Our Family Coalition, and speaks on issues of LGBT inclusion and gender in technology. The New York Times, NPR, Nature, O Magazine, Forbes, and The Atlantic have covered her work and research. She was also named one of 10 Women to Watch in Tech by Inc. magazine. All of the videos in GLG's Anatomy of a Decision series are available online for free. The series includes interviews with: Jill Abramson, former Executive Editor of The New York Times; Dustin Lance Black, Academy Award-winning screenwriter; Jeff Kindler, former CEO of Pfizer and Chair of the GLG Institute; Jake Sullivan, former Director of Policy Planning at the United States Department of State; Michael Vickers, former U.S. Under Secretary of Defense for Intelligence; and Tom Wheeler, former FCC Chairman, among others. GLG is the world's leading membership for professional learning. Business leaders, investors, consultants, social entrepreneurs, and other top professionals rely on GLG to learn in short- and long-term engagements from more than 500,000 members and other experts. Clients partner with GLG to address their most complex strategic challenges, make better business decisions, and advance their careers through conversations, mentorships, small group meetings, surveys, and other interactions—all within a rigorous compliance framework. Headquartered in New York City, GLG's approximately 1,400 employees work from offices in 12 countries. For more information, visit www.GLG.it.